The process of Financial Emigration is also called Formal Emigration. However, your South African citizenship or the use of your South African Passport is not affected by this process. Your exchange control or banking status will change from resident (or resident living temporarily abroad) to non-resident. This will only occur on successful completion of this process. During the process you will be issued with an Emigrant Capital Account (ECA), formally known as a blocked account. This is not a transactional account, but a bank controlled account through which all capital must flow going forward. You want to cash in your Retirement Annuities with a cumulative value of more than R247 500, and you are 55 or older. You want to cash in your Retirement Annuities and you are under 55. You received an inheritance or will in future. You receive passive income from rentals, salary, dividends or director’s fees. You receive proceeds from a third-party life policy. You want to get your affairs in order with the South African Reserve Bank (SARB) and the South African Revenue Service (SARS) and no longer want to be regarded a tax resident of South Africa. You are concerned that your income earned abroad will be taxed in SA (2020 SA tax law amendment). To conclude, you are not required to sell your house, shares, company etc. in South Africa as part of this process. You can read more on the South African Reserve Bank website. 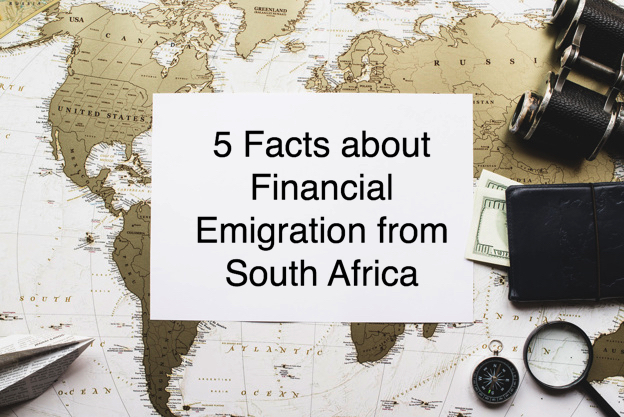 Financial Emigration from South Africa is not a difficult process. You simply need to have all the detail ready and in the correct order. Next you need to know where to submit and who to deal with at each institution from the SA Reserve Bank, SARS, banks and insurance companies. At Expatri8 we empower you to do-it-yourself for a fraction of the price charged by other service providers. Identity theft is a real risk nowadays and therefore doing it yourself means you do not have to share your sensitive personal information with a middleman. Contact us today for a non-obligatory quote.